Each IGLV subgroup is represented with one sequence per species chosen at random among the functional genes, except for IGLV11-55*01 which is an ORF. 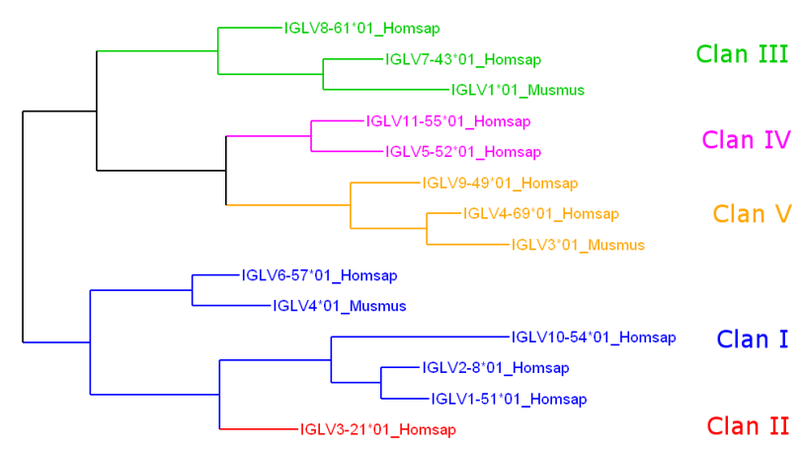 Mus musculus IGLV3*01 belong to IGLV2 subgroups. IMGT IGLV clans follow Clans described in .